The No. 21-ranked Hurricanes contained the Rockets’ high-flying, high-scoring offense and shattered the Toledo defense for a 49-24 victory at the Glass Bowl. Malik Rosier is the guy. Despite all the criticism from the Hurricanes faithful, Malik Rosier remains Miami’s starting quarterback. Rosier responded to the monsoon of boos with a career day, finishing with five touchdowns. He became the first player in program history to rush for three scores and throw for two touchdowns in a single game since the Hurricanes joined the Atlantic Coast Conference in 2004. 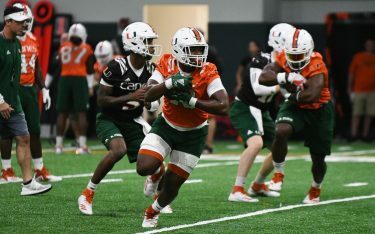 Head Coach Mark Richt and Rosier’s teammates continue to support the fifth-year senior, even after some early season struggles. Rosier completed 13-of-23 passes for 205 yards and rushed for 80 yards on just eight carries in the offensive outburst. Jeff Thomas continues to dazzle. The speedy sophomore has been Miami’s leading receiver through the first three contests. Jeff Thomas turned in another big performance against Toledo, finishing with a game-best 171 all-purpose yards and one touchdown. The East St. Louis, Illinois, native tied a career-high with five catches and notched 105 receiving yards. 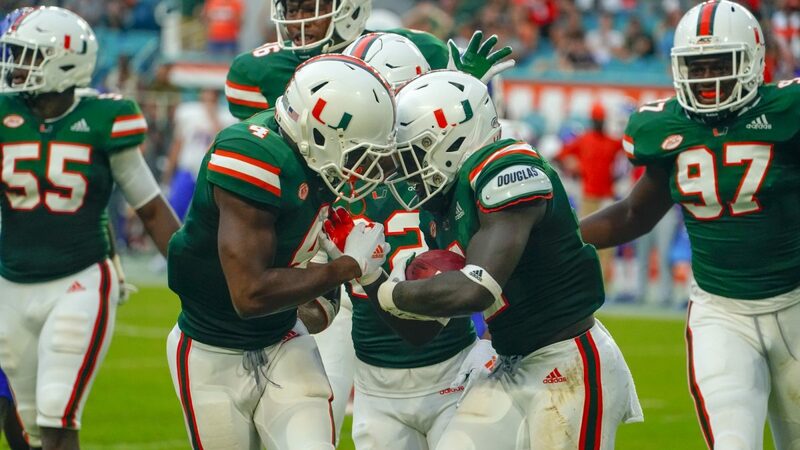 An impressive third down reception extended a crucial third quarter drive, which set up a 19-yard Dallas scoring run on the next play, caught the attention of Hurricanes head coach Mark Richt. “The longball catch he made was nothing short of spectacular,” Richt told WQAM. Thomas leads the nation with 27.64 yards per reception. He has 12 plays of 20-plus yards this season. 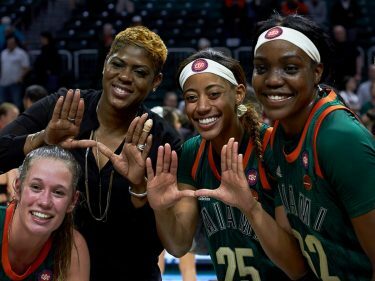 Heading into the road matchup, Dallas expressed great confidence about Miami’s abilities to quiet out the raucous environment in Toledo. The running back finished with a career-high 110 rushing yards and one score. Junior tailback Travis Homer chipped in 62 yards on the ground on 16 carries. As a team, Miami outrushed Toledo 268-112 and averaged 5.1 yards per carry. Injury bug bites team leader. The Preseason All-American safety is an integral part of the Hurricanes’ secondary and Miami saw just why against Toledo. Jaquan Johnson left the contest in the closing minutes of the first half after injuring his right hamstring. Just a few plays later, the Rockets capitalized in the red zone scoring a touchdown before finding the end zone again with a 40-yard scoring play in the third quarter.